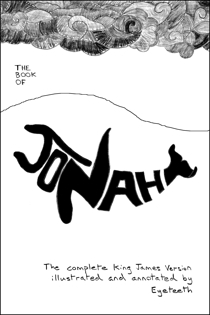 Thus ends chapter three of the Book of Jonah. 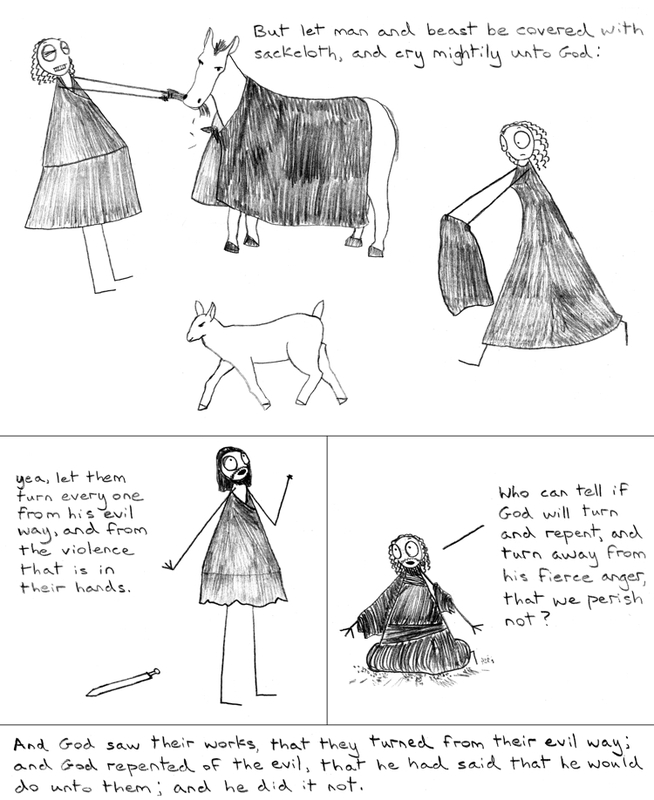 Chapter four consists mainly of Jonah throwing a tantrum, but there’s also a gourd involved. The idea of God repenting always knocks me out. Also, run, sheep, run! It was supposed to be a kid, but they turn out to look rather similar to lambs. Either one works.